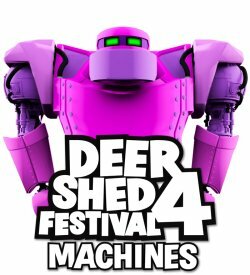 EduMake have spent a wonderful weekend at the Deer Shed Festival near Thirsk in a beautiful and sunny North Yorkshire. We were there assisting our friends SLUB, Paul Grojon, pimoroni and the rest of the Makers in the MACHINES tent. EduMake also ran our ‘Visual Minecraft Hacking on Raspberry Pi’ several times over the weekend.